Real Madrid signing Gareth Bale has has admitted that he has had a few stressful days recently. 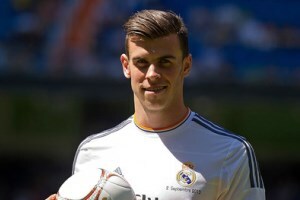 The Wales international star made a world-record £85.3million move from Tottenham to Madrid on Sunday but it didn’t all go smoothly as Spurs chairman Daniel Levy was playing hardball regarding the fee. Bale says he understands that Tottenham were looking to get the best deal possible and is now grateful to the club for allowing the transfer to go through. “It’s obviously been a whirlwind few days. It was great to be unveiled, it’s a day I’ll never forget,” Bale told BT Sport. “It was a long time, it was very stressful to say the least. I knew their interest from the start and I was always confident the move would go through. The chairman, Daniel Levy, had to do his business and do Tottenham well – and I kind of understood that – but, at the same time, it was a hard time.